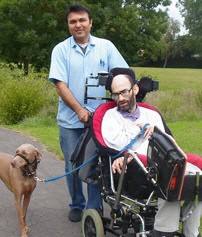 A SOLIHULL man with cerebral palsy claimed an under-threat disabled support charity saved his life in an address to Solihull Council. And more than 50 campaigners protested outside the Council House in an attempt to save charity DIAL, which supports 1,700 disabled people. A packed chamber heard the emotional address from Peter Fanning on Tuesday (April 9) at a full council meeting. DIAL received funding as part of the long-standing Citizens Advice Solihull Borough contract with the council – which has now been awarded to Age UK instead. DIAL has lost all its council funding – about £114,000 – and is faced with collapse. As we reported, some of the most vulnerable people in the borough have spoken out in defence of what they perceive as an indispensable support service. The charity was served an eviction notice by the council to vacate its fully accessible premises in The Parade, Kingshurst, by April 1. But the council agreed to allow DIAL to stay in its premises rent free for 12 months. Hazel Dawkins spoke for Mr Fanning, who sat by her side in his modified wheelchair, unable to speak for himself. 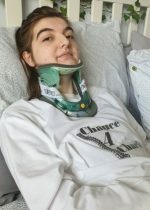 They said: “I have cerebral palsy, which means that I am reliant on my heavily modified wheelchair and Liberator communication device in order to have anything resembling a normal life. “I am particularly interested in politics and enjoy watching cricket. “To achieve the human rights and dignity that each and every single one of you in this chamber take for granted every day has always been an uphill struggle for me. “However, I have always had DIAL at my side to support me to have my voice heard. “Four years ago DIAL saved my life. “I was admitted to hospital, I was extremely ill and unbeknown to me someone had decided my life wasn’t worth living and had placed a ‘Do Not Resuscitate’ on me. “My advocate from DIAL stayed with me until the early hours in case I went into cardiac arrest. “She did not leave until she had seen my consultant and was assured I would be resuscitated if necessary. “Had they not done this, I would not be in the chamber talking to you today. “Solihull council has, over the last few years chipped away at my life, attempting to save money at every turn. “DIAL has supported me to challenge these injustices at each and every time and I firmly believe that this is why DIAL has been decommissioned. “I sincerely believe that whoever designed this new service should be ashamed of themselves. “The design shows a complete lack of understanding. Cabinet member for adult social care Karen Grinsell responded by saying: “The deputation does set out a deeply touching account of the compassionate support DIAL has provided. 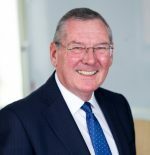 “But that reflects many other experiences from Solihull residents in relation to the support they had received from the whole range of organisations across the voluntary and community sector. She insisted that none of the services DIAL provided would be lost, and the new service would be wider reaching.